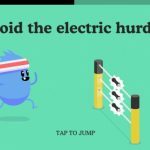 The original Dumb Ways to Die was a big hit and viral success upon its release, and last year, Australian developer Metro Trains followed that game up with a sequel, simply titled Dumb Ways to Die 2. The game, which is available for both iOS and Android devices, introduces you to a new cast of dumb characters, and also promises to be “bigger” than the original. There are a total of 28 mini-games to play in this title, and your goal is to stay alive for as long as possible as you try to jack up that score and unlock more characters. The new levels include the Dynamite Relay Race, Dolphin Rodeo, Electric Fence Hurdles, and other quirky challenges – you just have to play the game to really appreciate the effort Metro Trains has put into DWTD 2. Having given you that backgrounder, we shall now help you stay alive in the game with this first in a two-part series of Dumb Ways to Die 2 tips, tricks, and strategies. We’re starting out with the most basic tip of all, and that is to practice your game regularly. If you want to stay alive and increase your score, you need to practice as often as possible, but where should you focus on when you’re practicing? We’d recommend the Dumb Dome and Freezerville as the best places to hone your skills and prepare for tougher challenges ahead. As far as individual skills go, jumping is probably the one you need to practice the most, as different jumping levels require different techniques. It all boils down to having proper timing, but the good thing in jumping levels is that timing is harder in the early goings. It actually becomes easier once your score goes up and so does the speed. Like it is in many other games, you don’t want to ignore the mini-games, even if they’re often optional. In Dumb Ways to Die 2, one of the more important mini-games is the one that you can play before starting a new level. Why so? That’s because it’s the one that will help you get a really high safety bonus. Keep on playing this mini-game and going for consecutive wins, as that’s going to compound things into one big safety bonus. We don’t just mean one finger alone when tapping at a rapid-fire pace during these levels that require such actions. When playing sprinting levels, or anything else that requires you to tap as quickly as possible, use as many fingers as possible to tap at the same time. This may probably be easier if you’re a tablet player, as larger screens fit more fingers. Aside from tapping and swiping, you’ll also have to do some phone tilting to complete certain levels. 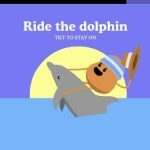 There are two such levels in Dumb Ways to Die 2 (Three Ton Clean and Jerk, Dolphin Rodeo), and in both of these levels, you will want to tilt your phone slightly, and not all the way. Move your phone too violently or too much to the left or the right and you’ll likely be dropping the weights in the former challenge, or flying in the air as the bucking dolphin heads back to the water. Now those, might we add, are really dumb ways to die. Want to take part in the Dumbest of the Dumb? You’re going to need tokens for that, but if you run out, you can make use of the time lapse cheat and get yourself two free ones. Switch the date and time on your device precisely one day ahead – this is very, very important, as it must be a day, and not a minute less or more – and return to the game. That’s all there is to it when it comes to getting two free tokens. Here’s another token-related tip for Dumb Ways to Die 2 that you may find very useful. Regardless whether you want to do the time lapse cheat or not, you want to play every day and check back regularly for tokens; one day is equivalent to two tokens, and to reinforce the point we made earlier, you cannot play the Dumbest of the Dumb unless you have tokens. Otherwise, you can still play all other levels and mini-games in DWTD 2. 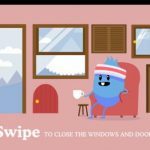 This level can be a bit tricky as the game would instruct you to swipe to close the windows and doors so the snow from the avalanche doesn’t get in. In reality, there’s no need to swipe at all – tapping will do the trick just the same, which really simplifies things. In the Landmine Curling level, the game will tell you to swipe in a circular motion. Our advice here is similar, but ultimately different to what DWTD 2 suggests. Instead of making a circular motion, go for a long oblong motion; the longer the oblong/oval shape you’re creating, the faster you’ll fill the bar, and the faster you’ll complete the Landmine Curling level. For another Landmine Curling-related tip, consider how you normally play this level. The obvious technique here would be to swipe up and down, and earlier we did tell you that swiping in a long oval would be a great way to beat the level. In relation to this, swiping from side to side is another good idea for the Landmine Curling level if you need to fill up the bar faster. That’s just about it for the first part of our Dumb Ways to Die 2 tips, tricks, and strategies, but do come back next time for the second part!